Bison Hockey Sticks is a family owned company specializing in the design and production of high performance one piece composite hockey sticks that sell for a lot less than our competition. Don't pay too much for for a hockey stick, try a Bison Hockey Stick. Recently we developed a patent pending do-it-yourself hockey stick repair kit that comes with everything you'll need to repair the broken shaft of most composite hockey sticks. Check it out. Have a question? Email us at info@bisonhockeysticks.com and we'll be happy to assist you. Our hockey sticks are made using high quality composite materials and the latest manufacturing processes. Our mission is simple... to provide hockey players of all ages with a high quality, low price alternative to the other brands. Don't pay too much for a high quality hockey stick. We focus on product performance and keeping our prices as low as possible so more players can experience the benefits that a carbon fiber composite hockey stick offers. How to determine the right hockey stick for you? Stick Length: To determine the appropriate length for your hockey stick consider these general rules. Place the toe of the blade of your stick on the ground in front of you and hold the stick upright. With skates on the end of your stick should come up to your chin. Without skates on the end of your stick should come up to your nose. If you have a big nose or a small chin adjust accordingly. Fiberglass vs. Carbon Fiber: Most composite hockey sticks are made from fiberglass, carbon fiber or a combination of the two. Layers of these materials are heated and compressed in a mold during the manufacturing process to create a hockey stick shaft and blade. 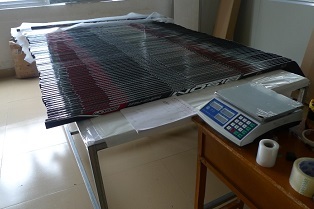 In general the lighter the hockey stick the more carbon fiber (and less fiberglass) is used. 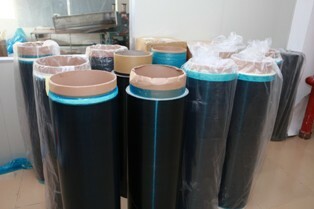 Since carbon fiber is more expensive than fiberglass the more carbon fiber used to make a stick the more it will cost. Flex: The higher the flex number the "stiffer" the stick. Player height, weight and shooting preference all are factors to consider when determining what flex to use. To achieve maximum torque when shooting and passing the stick should flex and re-coil. Many players who prefer quick wrist and snap shots prefer a stick with a mid or regular flex (75-90 flex). Players who have more strength and/or body weight (beer belly) may prefer a stick with a high or stiff flex (90-110 flex). Remember the "flex" of a stick changes when you cut it down. The more you cut off your stick the "stiffer" it becomes as there is now less shaft length to flex when passing or shooting. Kick Point: The kick point of a stick is the area of the stick that flexes and recoils when you pass or shoot. Sticks with a low kick point flex near the blade. Sticks with a mid-shaft kick point flex further up shaft and deliver the most power. Players who prefer quick release passes and shots might prefer a stick with a low kick point. Players who prefer more powerful wrist and slap shots may prefer a stick with a mid-shaft kick point. Blade Pattern: Blade patterns, or the curve of the blade is almost entirely a player preference. A very general rule is forwards prefer a blade that is curved in the middle and has an open face. Defensemen prefer a blade that with less of a curve and less of an open face. Please view our Blade Patterns guide to choose the Bison Hockey Stick bade pattern that works best for you. Lie: The "Lie" of a stick is an indication of the angle that the stick shaft would take when the bottom of the blade is sitting flat on the ice. The more upright a stick is, the higher the lie number. Like a blade pattern, the lie of a stick is a player preference. Most Senior hockey sticks have 5, 5.5 or 6 lie.